Federico Fellini, the great movie director, once said “Films are light.” It is this underlying essence that drives cinematographers to craft their image so that light helps tell the story. For June’s meeting, we look to briefly explore how light can be shaped so the viewer can “feel the frame,” turning to local award-winning Director of Photography Stephen Scavulli to guide us through his process. Stephen graduated from Emory University with a degree in Film Studies and History, briefly spending time at City College learning filmmaking before landing a job as a certified Phantom high-speed camera technician for AbleCine. From there, he became a PA for Brent Altamore at Groovy Like A Movie before quickly becoming their Director of Photography. 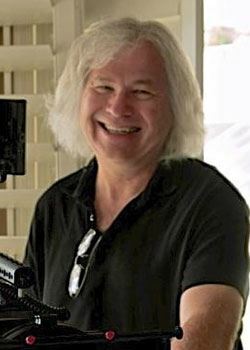 He recently finished DP duties on the short film Thin Lines, which garnered him a “Best Cinematographer” award at this year’s San Diego Film Awards. From 7:30-8:00PM, we'll have a special bonus presentation from award-winning Director of Photography, Bill Bork. Originally from Chicago, Bill now makes his home here in sunny San Diego. His passion is lighting and working as a cinematographer and is a four-time winner of Best Cinematography in the 48 Hour Film Project. Grijalva Films / RentCine is San Diego’s source for production services as well as an infinity cyclorama studio space with equipment available to rent. They will be offering a chance to win a free studio day in our monthly raffle!